Empowering to engage with the homeland: do migration experience and environment foster political remittances? This article investigates the drivers and mechanisms of emigrants’ electoral and nonelectoral political engagement with their homeland. Our analysis concentrates on the diverse experiences of Polish migrants in the UK. By utilizing original mixed-method data, including a large-N survey of Polish migrant voters across the UK, in-depth interviews with Polish migrants in the UK, and matched interviews with their family members and friends in Poland, we highlight the importance of the migrant experience and environment as factors explaining the (de-)mobilization of transnational political engagement. The quantitative analysis highlights proxies of integration in the host society as the strongest predictors of transnational political engagement, while the participation in emigrant/diaspora networks has less clear-cut effects than previous studies have suggested. The qualitative analysis unpacks the migrants’ experiences that foster homeland engagement. The composition of personal networks - whether they are primarily Polish or international - emerges as an important element of the causal mechanism behind the (de-)mobilization of engagement with Polish politics. We place the experiences of Polish migrants in the UK within a larger comparative framework of analysis. The UK is an advanced industrialized society with a long history of immigration, and the recent Polish migrants belong to a prominent group of migrants from a transition country (or new democracy) who have headed to a long-established democracy. They are also an example of an immigrant group settling (temporarily or more permanently) throughout their host country rather than clustering in one or few cities or regions. Such geographic dispersion provides us with additional leverage to explore the role of sub-national variation in destination characteristics on emigrants’ transnational engagement. We combine data from our survey of Polish migrants who voted in the 2010 Polish presidential elections in different locations across the UK with evidence from interviews with current Polish migrants in the UK and their family members or friends in Poland. Our large-N analysis supports the hypothesis that a higher degree of integration is linked to less transnational electoral engagement. However, such integration is shown to increase non-electoral transnational engagement in our case. Contrary to what previous studies found, the level of participation in emigrant/diaspora networks does not affect electoral engagement, but it does increase non-electoral engagement. Finally, the sub-national destination characteristics matter less than the national destination differences highlighted in recent research. The qualitative data widens the sample profile beyond migrant voters, unpacking the migrants’ own perception of integration and the nature of their personal networks. A new hypothesis about the international make-up of the migrants’ personal network in the host society conditioning political interest in homeland affairs and a wider definition of transnational political engagement emerge from these data for the comparative study of migrants. Migrants have increasingly been conceptualized as ‘norm entrepreneurs’ and ‘transnational agents of social change’ (Glick Schiller et al., 1992; Itzigsohn et al., 1999; Levitt 1998, 2001). The ‘development-migration nexus’ (Kapur, 2004) has gradually been extended into the political realm, suggesting a more specific ‘democratization-migration’ nexus (Rüland et al., 2009). Scholars have argued that migrants are ‘new and unaccounted power groups’ (Itzigsohn & Villacres, 2008) and ‘vectors of (…) mass-level type of democratic diffusion’ (Pérez-Armendáriz & Crow, 2010). One level below the macro-level claims about migrants as agents of change, what factors explain the variation in the levels of transnational engagement of emigrants? Research into this question has remained inconclusive, but the suggested explanatory factors can be summarized along five dimensions, which we explore below: demographic profile, socioeconomic status, integration into the host society, emigrant/diaspora networks, and destination-level factors. In the Latin American context, married males have been shown to retain more active transnational political ties, in particular in later adulthood (Guarnizo, Portes, & Haller, 2003; Jones-Correa, 1998). Socioeconomic factors such as higher education and occupational status are generally seen as positively correlated with both domestic and transnational political participation (Guarnizo et al., 2003, Smith & Bakker, 2005), mainly by providing migrants with the intellectual and economic resources needed for political engagement and access to policy-makers (Burgess, 2014). However, higher education is also associated with higher upward mobility and better chances for integration, which in turn can suppress political engagement (Borjas, 1987; Gordon, 1964). An urban vs. a rural origin can similarly affect the likelihood of transnational engagement (Guarnizo et al., 2003; Lafleur & Sanchez-Dominguez, 2015). Compared to the demographic and socio-economic variables, less is known about the effect of the experience and environment in migration on transnational political engagement. Homeland links and integration into social networks in the host society have been highlighted as increasing transnational engagement (Ahmadov & Sasse, 2016; Burgess, 2012; Careja & Emmenegger, 2012; Soysal, 1997; Van Tubergen, Maas, & Flap, 2004), as have a political environment in the host society that affords opportunities for inclusion and participation (Burgess, 2014; Eggert & Pilati, 2014; Escobar, Arana, & McCann, 2015; Pérez-Armendáriz & Crow, 2010). However, Guarnizo et al., (2003) found that in the Latin American context longer periods of residence, usually associated with lower transnational engagement, seem to provide the economic resources and stability needed for homeland engagement. Similarly, they found no particular effect of naturalization on engagement, whereas previous studies had suggested that the acquisition of citizenship as an expression of deeper integration into the host society lowers homeland engagement. The role of destination characteristics for transnational engagement – beyond measures of immigrant integration – has only recently attracted attention. Migrants in high-immigrant concentration areas are seen as more likely to engage in homeland politics (Levitt, 2001). In areas “where the emigrant vote can be decisive in close contests, candidates have sufficient incentives to carry their electoral campaigns abroad, which means that absentee voters will then be no less exposed to candidates and issues than the electorate at home” (Bauböck, 2003, p. 714). This, in turn, might make migrants engage politically or reinforce their engagement. By contrast, Guarnizo et al. (2003) argue that the size of diaspora networks is positively related to homeland political engagement, while the physical location of diaspora networks does not matter. Some recent micro-level studies have engaged with the question of whether different host society contexts affect emigrants’ political behavior vis-a-vis their home countries. Lafleur and Sánchez-Domínguez (2015) find that the profiles and partisan preferences of Bolivian emigrant voters in the US, Spain, Argentina and Brazil differed across these destinations. Similarly, Escobar, Arana, and McCann (2014, 2015); Escobar et al. (2015) show that the city of residence of Colombian immigrants (Miami, New York, London, Paris, and Madrid) influenced their candidate preferences and their intentions to participate in the 2010 elections. In their study of Ukrainian migrants across 15 countries, Ahmadov and Sasse (2016) demonstrate that destination matters for different forms of transnational political engagement. The analyses by Doyle and Fidrmuc (2004) of migrant partisan preferences, by Leal, Lee, and McCann (2012) of voter turnout, and by Ahmadov and Sasse (2016) of the determinants of a range of transnational political activities are among the few studies to date that explicitly incorporate concrete demographic, historical, institutional, economic development and attitudinal variables as destination characteristics. This paper builds on these nascent efforts by applying the same logic to multiple destinations within one host country. In contrast to quantitative empirical analyses, which have only recently begun to acknowledge the importance of destination characteristics, ethnographic research in migration and urban studies has long highlighted the diversity of lived experiences within and across locations. Scholars have warned against the pitfalls of ‘methodological nationalism’ (Glick Schiller & Çağlar, 2009; Wimmer, Schiller, & Nina, 2002) that equates migrants with an ethnic group and generalizes from one or few locations. With regard to recent Polish migration to the UK, White has highlighted the range of migrant backgrounds and motivations in line with this critique, including the migrants’ different educational profiles - they tend to be portrayed as predominantly well-educated - and economic push factors experienced across educational profiles (White, 2010). Similarly, Ryan, Sales, Tilki and Siara (2009) have underlined the diversity of migratory strategies and social networks of Polish migrants in the UK and how the two influence each other (Ryan et al., 2009). In their interview-based study of Polish migrants in two cities in the UK and Germany respectively, Nowicka, Krzyżowski (2015a) find that Polish migrants’ attitudes towards ethnic and cultural diversity are influenced by their environment and the diversity they experience within it (Nowicka & Krzyżowski, 2015a, Nowicka, M., & Krzyżowski, Ł. Social Distance towards various Minorities among Polish Immigrants: A Comparative Study in Four German and English Cities. Unpublished Paper). 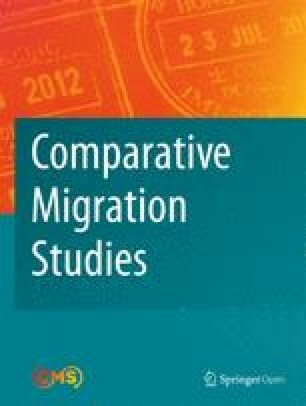 These studies not only document the diversity and local context of migration, but also speak to the issue of individual-level change in migration which for the most part escapes the quantitative analysis due to the lack of panel data capturing the migrants’ attitudes and behavior before and after migration. With regard to the determinants of electoral and non-electoral transnational political engagement, this article tests the role of a range of integration-related factors, the significance of emigrant networks, and sub-national destination characteristics in the UK on the basis of original survey data. As discussed above, the first two groups of factors occupy a central place in the study of transnationalism but remain disputed, while the third is an innovation on the recent emphasis on national-level or global city destination characteristics in the survey-based analysis of the preferences and voting behavior of transnationally active migrants. Building on the ethnographic research on individual (Polish) migrants, the second part of this article grounds the notion of integration and the nature of personal networks in the diversity of migrant experiences. As one of the most sizeable recent groups of immigrants in the UK since 2004, the Poles in the UK make for a fertile case study to explore transnational engagement. The 2001 UK census put their overall number at 600,000 (ONS, 2001) – a figure that is likely to have underestimated the actual number of Polish migrants. The UK has been the main receiving country of the post-2004 Polish migration in the EU, and the Poles have settled all over the UK. According to the Polish census of 2011 just over 2 million Poles have been abroad for at least 3 months (GUS, 2012). The extent to which fluid forms of migration have become part of people’s experience and expectations has led scholars to talk about a new generation of Poles having been ‘socialized into migration’ (White, 2010, p. 578) and ‘settling within mobility’ (Goździak, 2014, p. 1) while continuing a culturally embedded anti-statist tradition (Garapich, 2016). On average the Polish migrants to the UK have been young and fairly well educated. In 2004-06, the median age of post-accession Polish migrants in the UK was estimated to be 25 years, compared to 30 years in Ireland and 46 years in the USA (Fihel & Kaczmarczyk, 2009, p. 35). Okólski and Salt (2014) have confirmed the overrepresentation of young Polish migrants (20–39 years of age and 20–24 year-olds in particular) going to the UK compared to the average age of all destinations (Okólski & Salt, 2014, p. 13). Furthermore, a quarter of the immediate post-2004 Polish migrants in the UK were estimated to have a university degree (Fihel & Kaczmarczyk, 2009, p. 35). Tertiary education of Polish migrants in the UK has remained significantly above the overall educational level of Polish migrants in the period 1999-2011, decreasing somewhat by 2008-11 (Okólski & Salt, 2014, p. 13). Poles in the UK have a predominantly urban background, compared to an average rural profile among Polish emigrants in 1999-2011 (ibid.). Fihel and Kaczmarczyk (2009) further specify for the period 2004-06 that over 41 % of Polish migrants in the UK came from towns with a population of under 100,000 people and 31 % from rural areas (Fihel & Kaczmarczyk, 2009, p. 37). Thus, we treat the recent Polish migrants in the UK as an extreme case (Seawright & Gerring, 2008) within the larger reference group of Polish emigrants in general, but not as a deviant case in comparison with other East European migrants in the UK. The fact that the UK is the home to an older Polish diaspora from the World War II period adds a further layer to the issue of network integration. There are easy and relatively cheap transport and communication links between the UK and Poland, and as EU citizens the Poles who arrived in the UK after Poland’s entry into the EU in 2004 benefit from easy access to the labor market, residency and voting rights in local and EU elections. Poland’s ongoing process of post-communist democratic and economic consolidation creates inequalities and economic push factors (White, 2010, 2014) as well as opportunities for homeland engagement and potential impact. However, the overall systemic differences between Poland and the UK – in terms of economic development or the quality of democracy – are more subtle than the distinction between an authoritarian sending country and a democratic receiving country that informs the notion of migrants as agents of democratic change. While the issue of measuring impact on the home country would be even more difficult in this case, it is reasonable to expect that the problematic selection bias regarding the choice of destination is less pronounced. Random sampling of migrants is notoriously difficult due to the absence of clear sampling frames, and the lack of panel data limits the scope of the findings. Qualitative research tools such as focus groups or in-depth interviews offer the possibility to tap into what concepts like integration mean to individual migrants, what kind of networks they are part of, and how they reflect about their own potential change in attitudes or behavior in migration. They highlight the diversity of experiences and may suggest patterns amidst this diversity, but the generalizability of the individual narratives is hard to gauge. Interviews with members of the migrants’ personal networks in the homeland help to triangulate the migrants’ self-reported stability or change in attitudes or behavior. And although this is not the focus of this article, they also go some way towards establishing the effects of social remittances: the interviews with family members and friends reveal the type of issues discussed with the migrants, knowledge and judgements about life in the UK based on the migrants’ impressions, and a potential self-reported change in the non-migrants’ attitudes. Table 1 summarizes our research design. The first part of the analysis is based on our survey of Polish migrants in the UK who turned out in the 2010 Polish presidential elections. Narrowing the focus to this group established a basis for random sampling in front of polling stations across the UK. While this might be a small sub-group of the migrant population at large, it is a significant group with regard to the issue of political remittances.4 Since the samples we analyze include infrequent and first-time voters, our results may well be applicable to other migrants. Only about half of migrant voters in our sample indicated that they always vote in homeland elections. And only around 39 % of the Polish migrant voters in our sample indicated that they voted in the 2010 election because it was of particular importance. This means that our sample captures individuals beyond the core of transnationally active migrants. Cluster random sampling: cluster sampling of polling stations in the UK during Polish presidential elections; simple random sampling to select respondents at the stations. Standardized survey questionnaire: covering demographics, migration experience, political and social attitudes, and political and social engagement. Heterogeneity (maximum variation) sampling through a range of channels, including church, Polish associations and Internet. Qualitative matched (comparative) text analysis of self-reported views on host-society integration, personal networks, and change in views. Since our sample is composed of migrants who have voted at least once in homeland elections, they can differ from the population of Polish migrants in the UK in key characteristics that are potential covariates of political behaviour (see McCann, Cornelius, & Leal, 2009). A systematic comparison of our sample composition to that of the population at the time of our survey could reveal such differences as well as similarities. The lack of systematic census data on migrants and migrants’ mobility makes this an impossible task.5 However, we deal with this issue to some extent by distinguishing between respondents who indicated that this homeland election was their first while abroad and those who indicated otherwise, and controlling for this variable throughout all regression models. This helps to mitigate the problem that our sample may be dominated by transnationally active migrants who are systematically different from the rest of the population. While it may have drawbacks, the sample of migrants formed during elections can also enhance representativeness as it may better capture mobile or temporary migrants, who are otherwise notoriously difficult to capture in cross-sectional, let alone panel surveys, and censuses (see Burgess, 2014; Careja & Emmenegger, 2012; Levitz & Pop-Eleches, 2010). It is also possible that subsamples from different UK regions vary in size disproportionaly to the sizes of the Polish migrant populations in each of these regions. To minimize unequal probability bias, we develop and use weights based on the estimated sampling fraction for each of region (see Guarnizo et al., 2003). The sampling fractions were calculated by dividing each regional sample by the estimated number of Polish migrants in eleven of the twelve UK regions drawn from the ONS (2009), and their reverse was used in the analysis (Frankel, 1983; Guarnizo et al., 2003; Kish, 1967). We measure transnational political participation by the counts of homeland-related political activities that our respondents engage in, distinguishing between electoral and non-electoral engagement (Table 2). These types of transnational political engagement may be explained by different factors, and the same emigrants may engage to different extents in one or the other type of activities. Our measure of electoral engagement ranges from 0 to 7 and includes seven types of activities: participation in presidential, parliamentary and local elections, membership in Poland-based political party, party or candidate campaigning, campaign donations, and running as an electoral candidate. Since emigrants can contribute to homeland politics through non-electoral engagement (Guarnizo et al., 2003; Levitt, 1997), we also explore non-electoral political engagement (ranging from 0 to 2), which includes monetary support to specific initiatives in the homeland locality and homeland lobbying in the host country. Respondent sends money to family and/or friends in homeland: 2 = regularly; 1 = sometimes; 0 = never. We measure integration using three variables: the number of years lived in the UK, whether the respondent intends to stay for a period less than 5 years, and dummies for citizenship and residence. Respondents’ integration into emigrant networks is measured first by the count of links to Polish diaspora, including recent and non-recent Polish migrants: whether the respondent was helped at arrival in the UK by recent Polish migrants who were not their family or friends; whether she regularly mixes with the established Polish diaspora members; and whether she has relied on Polish diaspora’s support and advice. The other network variables measures which source of support has prevailed for the respondent – homeland- or host-country related. Homeland-related sources are the Polish diplomatic corps, family or friends who arrived before, the church, Polish job agencies, and other Polish migrants. Host-country sources are UK’s local authorities and charities, and migrants of other nationalities in the UK. Finally, we use three measures of destination region characteristics: for economic development level we use gross value added (GVA) per capita (ONS, 2015); for emigrant density we use the log ratio of estimated Polish population to NUTS1 regional population in 2010; and for the level of tolerance in the region we use regional percentages who disagree with the statement “It is a good thing that Britain is a multiracial society” (Ipsos MORI, 2004). Our controls include demographics (age, gender and marital status), socioeconomic status (educational attainment and current occupation), whether the respondent’s departure from Poland included a political motive, whether she originates from Warsaw, whether she is from Western or Eastern Poland, the frequency of remittances sent, the frequency of contact with family and friends in Poland, and whether the respondent has previously voted in Polish elections from abroad. We use the dummy for Warsaw because previous residence in a capital city can entail political socialization conducive to higher electoral engagement. It can also be negatively correlated with non-electoral engagement because the latter benefits from the local ties’ density that is characteristic of rural locations. We use the regional West-East dummies to control for potential variation across regions in political participation rates since Polish politics displays strong regional cleavages (see Lafleur & Sánchez-Domínguez, 2015 on regional differences in political behavior among Bolivian immigrants). Table 2 provides summary statistics of our sample. In terms of demographic profile, respondents are relatively young with an average age of 33.1 years, and about 41 % of them are married. This is roughly in line with the general profile of Polish immigrants in the UK. The sample is relatively equally split by gender. 67 % are high school graduates and only 4 % are college graduates. Around a half are in white-collar occupations, 40 % in blue-collar occupations, 5 % are managers, 5 % are unemployed, and smaller numbers of up to 1 % each are students and retired. We do not find a “capital city bias” as only 11 % of our respondents come from Warsaw. Our sample displays a good balance in regional origins in Poland – 58 % are from Western and 42 % from Eastern Poland. In line with the general profile of Polish migration into the UK, the average number of years in the UK was about 4.64 years (in 2010). 38 % of respondents indicated that they intended to stay between 3 months and 5 years. Three percent are dual citizens, 44 % are permanent residents, and the rest – the majority (53 %) - are temporary residents. On average, respondents are weakly integrated into Polish migrant community in the UK. Home-country sources of support prevail over host-country sources. For a large group of our respondents – 65 % – the 2010 presidential election, during which they were selected for our study, was their first experience of voting in Polish elections from abroad. This means that our sample is not biased towards regular politically active transnational actors. This is further corroborated by descriptive statistics on transnational political engagement. The average count of electoral engagement is low at around 2 (the maximum is 7) and that of non-electoral engagement is 0.54 (the maximum is 2). Roughly one third of our respondents indicate that their views on Polish politics have changed and that they are more interested in Polish politics compared to when they lived in Poland. To examine the determinants of transnational electoral and non-electoral political engagement, we estimate Poisson models for our count dependent variables because linear regression in this case can lead to inconsistent and biased estimates (Guarnizo et al., 2003; Long & Freese, 2006). To see whether there are violations to equidispersion assumption, we check whether the conditional mean is smaller than the conditional variance. Since the goodness-of-fit chi-squared test is not statistically significant, there is no sign of over-dispersion in the data and, therefore, Poisson regression is appropriate. For enhanced reliability of parameter estimates, we derive robust standard errors clustered by the UK region of residence (see Cameron & Trivedi, 2009; Guarnizo et al., 2003). Since the variables measuring the level of tolerance in the region (“multiracial attitudes”) and the region of origin in Poland cover smaller samples and because the region of origin can be strongly correlated with being from Warsaw, we estimate separate models for these variables. The survey sample includes at least minimally active Polish migrants who voted at least once in 2010. Ideally, we need to broaden our scope from migrant voters to migrants in general in our qualitative research. Here we employ semi-structured in-depth interviews with Polish migrants currently living in the UK and, where permission was granted, with one of their family members or friends based in Poland. This technique, which we are labelling ‘matched interviews,’ goes one step beyond the self-reported attitudes and behavior in stand-alone biographical narrative interviews and allows us to add a comparative dimension by comparing the migrants’ narratives with those of a family member or friend in Poland. This matching helps to validate what the migrants themselves report, but it also points to changes in their attitudes or behavior which they might not recognize in themselves. Interviews with the migrants’ relatives and friends in Poland provide a rare glimpse of the migrants’ pre-migration socialization and outlook. While the interviews are not representative and cannot systematically test the effects of variables employed in the statistical analysis, they can suggest patterns, typologies and further hypotheses related to the underlying experience of integration, the nature and function of a range of different personal networks, and changes in attitudes or behavior. Individual cases will be chosen from our data to illustrate the patterns emerging from the overall body of interviews. A total of 34 interviews were conducted between March and June 2014: 22 with migrants in Oxfordshire (mostly Oxford city) and 12 interviewees facilitated a follow-up interview with a close contact in Poland. Interviewees were recruited through a range of different channels (incl. Polish shops, Polish job sites, social media, Polish Saturday school, local Catholic churches, workplaces with Polish employees, such as hotels, restaurants, construction sites, a car plant, and word of mouth) to maximize variation (Glaser & Strauss, 1967) and avoid obvious biases, such as a too similar socio-economic background, a similar length of stay, or membership in particular organizations. The age range of the interviewees is 26–57 years of age, with a majority clustered in the lower age bracket (25–35 years). About half originate in Poland’s big cities (Warsaw, Krakow, Wroclaw, Gdansk etc. ); the other half comes mostly from small towns (though many have studied or worked in bigger cities before coming to the UK). There is an even gender balance among the interviewees and a roughly even distribution of singles and married migrants/migrants with a partner (about a third have children in the UK). According to the 2011 census there were 7,484 Poles living in Oxfordshire (2,694 in Oxford) out of a total population of 653,800 (151,900 in Oxford) (GUS, 2012).6 It is thus one of many medium-size settlements of Polish migrants the majority of whom arrived after the accession of Poland to the EU in 2004 and occupy a wide range of jobs. As both a university town and the location of a car manufacturing plant, the Oxfordshire labor market covers the whole range of job profiles, although the share of professionals and the overall level of qualifications are significantly above the national average. Oxfordshire is part of the economically strong South-East, and unemployment is below the national average (3.5 % in 2014-15 compared to 5.7 % in the UK as a whole) (ONS, 2014-5). Polish migrants have settled more widely across the whole of the UK than many other immigrant ‘groups’. Our aim is not to generalize from our local sample to the whole of the UK. Oxfordshire presents one of many possible snapshots of the diversity of Polish migrants in the UK. Even a relatively small number of interviews in one location forcefully underlines the diversity in backgrounds and lived experiences of the Polish migrants documented in other qualitative research on individual migrants’ biographies, while also suggesting patterns for further comparative migration research. Table 3 presents the regression results on the dependent variables – homeland political engagement. Since Models 1 and 2 have most observations and cover more regions, these are our favored models. The results highlight the importance of integration-related factors. First, a shorter stay is linked to higher electoral engagement, and a longer stay with more non-electoral engagement, controlling for other factors, although the latter link is statistically significant only at the 10 % level. Second, in line with the time spent in the host country, a Polish migrant’s expectation to remain a temporary resident is associated with a higher number of Poland-related electoral activities engaged by respondents. Third, permanent residency status has a negative effect on electoral engagement. However, the electoral engagement of respondents who have host-country citizenship while having retained Polish nationality (without which the migrants cannot participate in Polish elections) is higher than that of temporary residents. While a full exploration of this result is beyond the scope of this paper and the inferences should be qualified given that only three percent of our respondents are dual citizens, we offer two potential explanations. First, dual citizenship may signal a more long-term commitment to two countries and thus lead to a re-evaluation of the identity link to the homeland; homeland elections become one occasion on which to express this identity. Second, respondents with dual citizenship may also be predominantly the members of the old Polish diaspora; if this is the case, the difference in electoral engagement can be explained by differences between this group and more recent migrants that are not captured by our data. While the latter reasoning is partly corroborated by our data – only 1.5 % of those who arrived after the Cold War have dual nationality as opposed to 41 % of those who arrived before 1991 – the previous one cannot be ruled out. The role of emigrant networks is less consequential for transnational electoral engagement than hypothesized. However, a higher number of diaspora links increases transnational non-electoral engagement confirming the findings of some studies (e.g., Burgess, 2012), suggesting that these links provide resources required for this type of engagement. While the respondents rely more on homeland-related sources of support, this does not make a significant difference for their electoral or non-electoral engagement. The regional destination characteristics within the UK do not seem to matter for electoral engagement, but the regional economic development and Polish emigrant density are indeed associated with non-electoral engagement. Higher economic development is positively related to non-electoral engagement, reinforcing the intuition that this type of engagement (e.g., lobbying) requires financial resources which, on average, are most likely to be generated in economically more developed regions of the host country. Conversely, respondents residing in regions with higher emigrant density display no difference in electoral engagement and lower non-electoral engagement (contrary to theorizing by Levitt (2001) and Bauböck (2003)). The last result may owe to the possibility that in such regions non-electoral engagement may be less publicly visible and suffer from “free-riding” problems. Finally, interregional differences in tolerance levels do not appear to affect transnational political engagement. It is worth noting that this result might have changed over time from 2010 (timing of the survey) to 2015 after years of negative electoral campaigning against immigration. Among the controls, gender, age, occupation, origin and home links have significant effects on either or both types of homeland engagement. In line with research on other cases of migration and political participation generally, being male increases engagement in homeland elections (Guarnizo et al., 2003; Jones-Correra, 1998). The older Polish migrants, the more politically engaged they are with Poland, either electorally or otherwise, although the effect is statistically significant only at the 10 % level. The significance of age for non-electoral engagement is likely to be explained by the greater availability of resources such as time and money. Similarly, single migrants are significantly more engaged in non-electoral political activities – time and money are, on average, less abundant for married individuals. Following the same logic, Polish migrants holding managerial positions engage more in non-electoral activities than white collar workers. This may owe to their relatively higher earnings and better connections with community leaders in the UK and/or in Poland. Compared to white collar workers, blue-collar workers have lower electoral engagement with Poland, in line with conventional arguments in the comparative political participation literature (Verba, Schlozman, & Brady, 1995). However, education – usually a key variable linked to electoral participation – is not significant for either electoral or non-electoral engagement. Origin-related factors are strong predictors of both electoral and non-electoral engagement: political motivations for emigrating suppresses electoral engagement, whereas being from the capital has a mobilizing effect (compared to the rest of Poland) on homeland engagement overall. However, being from the economically more developed and electorally less conservative western regions of Poland reduces electoral engagement. Finally, home country links matter. First, the frequency of sending economic remittances is associated with increased non-electoral engagement, another form of passing on financial resources, but not electoral engagement. Second, frequent contact with family members in Poland increases non-electoral engagement. It may also boost electoral engagement, but the effect is substantively small and marginally significant statistically. As expected, for those Polish migrants for whom the 2010 presidential elections were the first elections they participated in from abroad, levels of political engagement with the homeland are significantly lower. Several findings emerge from these results. First, while it does not seem to significantly affect non-electoral engagement, integration in the host country significantly reduces electoral engagement with the homeland - perhaps only up to the point of obtaining dual citizenship. A U-shape curve seems to describe this relationship: migrants temporarily staying in the host country are more electorally engaged initially, less engaged once they have permanent residence, and more engaged again once they obtain host-country nationality, provided they retain their home-country citizenship. To confirm this finding we would ideally need panel evidence. For the moment, our data speaks more confidently to the decrease in homeland engagement over time, contrary to findings by Guarnizo et al. (2003). Second, deeper integration into emigrant networks does not affect electoral engagement, but it increases non-electoral engagement. Third, while country-level destination characteristics can be critical variables affecting migrants’ transnational engagement (Ahmadov & Sasse, 2016; Escobar et al., 2014, 2015; Lafleur & Sánchez-Domínguez, 2015), we find limited evidence that within-country variation in regional characteristics affects migrants’ engagement in homeland politics. There are three potential explanations. First, different UK regions may not attract groups of Polish immigrants that differ significantly on key variables affecting participation. Second, there might be little inter-regional variation in incentives and constraints for Polish immigrants’ homeland political engagement. Third, our set of destination region characteristics is not exhaustive. Still, we detect some inter-regional variation in our sample: higher regional economic development significantly boosts and larger emigrant density depresses non-electoral engagement. Finally, our results lend support to the effects of several other factors hypothesized to affect political participation in general and migrant political engagement in particular. However, the directions of the effects are not necessarily in accord with the existing arguments. First, gender differences are pronounced only in relation to electoral engagement: men are more electorally active, but do not engage in non-electoral activities more than women. Second, and quite surprisingly, education has no bearing on transnational political engagement. However, another key socioeconomic difference – occupation – affects homeland engagement: the higher the social position (conceived as moving from blue-collar through white-collar to managerial position), the higher is transnational political engagement. Again, to establish this more definitively, we would need longitudinal evidence. Third, where you come from in the home country matters: migrants from capital cities are more transnationally engaged, and the region of origin can have an impact on electoral engagement. The proxy measures for ‘integration’ used in the survey analysis above combine a basic measure of temporariness (length of stay) with the formal legal status of the migrants (resident, citizen). The interviews underline a widespread sense of temporariness. The prospect of returning to Poland in the foreseeable future is a frequent reason provided for staying in touch with homeland affairs and continuing to vote in Polish elections. However, the prospect of a long-term or permanent stay, most clearly expressed by interviewees with a non-Polish partner and children in the UK, can have a mobilizing effect driven by the perceived need to uphold and pass on Polish language and culture. This dynamic escapes our survey analysis. The migrants’ own narratives confirm the survey finding that participation in emigrant networks does not necessarily increase electoral engagement with the homeland. In fact, they suggest a dynamic that deserves to be explored further, namely the potentially de-mobilizing role of certain emigrant networks. Migrants who mix primarily or exclusively with Poles talk about a more casual and infrequent engagement with Polish affairs and non-voting. Conversely, the interviewees with international personal networks describe the need to inform themselves about Polish affairs – at times more than they used to when they were still based in Poland – in order not to lose touch or to be able to answer questions and inform their non-Polish colleagues and friends about Polish history, culture and politics. For most of the interviewees with international (incl. partly British) networks this wish to inform includes taking their friends to Poland. The resulting increase in awareness about Poland among non-Poles from the host society represents an indirect and as yet underappreciated form of social remittances. It is mirrored by the knowledge about life in the UK exhibited by many of the interviewed family members and friends in Poland. Awareness (including both positive and negative evaluations) of another society is an important remittance that travels in multiple directions. Three dimensions of attitudinal change are highlighted by the interviews. First, the perception of a norm of tolerance in the UK and comparisons with a less open and still less diverse society in Poland is mentioned in almost every interview, leading the interviewees to conclude that the experience of migration has made them more ‘open’, ‘tolerant’, and ‘less critical of others’ (see Nowicka & Krzyżowski, 2015a, for similar findings). Second, the interviewed migrants generally do not see themselves as having changed their political views since their arrival in the UK, suggesting a lasting effect of early-life socialization. Many interviewees comment on the experience of not having changed their views but being classified differently by others depending on their location, for example as ‘liberal’ in Poland and as ‘conservative’ in the UK. Similarly, many talk about a discrepancy in their identification with political parties occupying different ends of the political spectrum in Poland and in the UK. Here the current anti-immigration rhetoric in British politics appears to have a mobilizing effect. Third, references to a change in political interest run through many of the interviews. Repeatedly, a higher level of political interest was noticed by family members and friends in Poland rather than consciously perceived by the migrant in question. The interviews suggest that the migrants’ personal networks, in particular the degree to which these networks are international, mixed or predominantly Polish, is related to these three dimensions of attitudinal change. Three case studies from the matched interviews have been selected to illustrate the broader trends identified above. They map the migrants’ transnational political engagement based on the whole range of personal networks found in the interviews. The result is the beginning of a typology that links network composition (which includes both a sense of (non)-inclusion and the intensity of network integration measured by the survey) to the maintenance, mobilization or de-mobilization of transnational engagement. When I was in high school I was really into politics (…). And when I moved here I kind of stopped caring. There are other problems that I should be focussing on. My views haven’t changed per se, but I’ve just stopped really thinking about them that much. …because I think that this is something that has an impact, because these people still kind of decide about my future. I don’t really understand UK society and I don’t really understand the people here. And (…) for some reason we don’t have many British friends; I think it’s quite a closed society. We do have a lot of international friends. (…) And whenever we made international friends, I wanted to make sure that they know that I’m Polish and I’m proud of being Polish (…). And I go to the Polish shop when we’re having a party, I want to bring Polish snacks, or I bake a Polish cake, or I bring Polish alcohol (…) I like to think that I’m representing Poland. (…) I’m really making all my friends from here go and visit Krakow with me whenever I have a chance to go back. I decided that I actually need to make more of an effort because I do have some great relationships back home and I don’t want to lose them. So I quite often make an effort to make a proper phone call for an hour to speak with an old friend or to write a letter or to send something funny from here. And whenever I’m home I’m socializing with my friends, but obviously the group is getting smaller and smaller as people are changing cities and are moving away. Thus, while A. may follow Polish news in less detail than before, he maintains his voting habits and does not see much change in his political preferences. Moreover, a new type of engagement has been mobilized by his interactions within his international network in the UK: the wish to introduce new friends to Poland and Polish traditions. A.’s experience epitomizes the simultaneous experience of maintained, de-mobilized and newly mobilized elements of transnational engagement. Thus, a more complex notion of the lived experience of transnationalism emerges. When I was growing up I think I really was taking in what my parents were telling me and (…) because I was 30 when I came here, almost 30, I think I was a bit too old then to change completely. (…) Voting was a big thing. (…) I still remember it was like a family thing really, so after church on Sunday you would go to vote and then you would go to a café for icecream and cake, so it was almost like a holiday. I have to say the first few months were quite difficult (…) until I made a friend. It was probably a month or two after I arrived, and I was lucky to have my daughter. She was then 2 years old. (…) so the playground was the place (…) where I met a very good English friend and her husband. (…) They are in the north of England now but we still keep in touch. And they came with me to Poland (…)..
(…) living in our Oxfordshire village, I had many friends, but all of them were English friends. I didn’t meet anybody from Poland or any other Eastern European country. So I felt a little bit isolated sometimes, you know. Everybody is brought up in their own culture and obviously it’s sometimes easier to talk to somebody who understands you at the same level. Today she has Polish friends through the Saturday school, but her network in Poland is still the most important one for her. In sum, M. maintains three personal networks in parallel: a mostly British network of friends and neighbors through her husband and village, a Polish circle through cultural activities in the Oxfordshire Polish community, and a strong link to her family in Poland. She highlights the persistence of her pre-migration political socialization in terms of voting habits and preferences, but her British networks have also mobilized a new political interest and outspokenness. The long-term migration perspective linked to her family set-up and the motivations to root her daughter in her Polish heritage are mentioned as the prime reasons behind this mobilization. As in A.’s case above, M.’s transnational political engagement is a composite of maintained voting practices and preferences and an overlay of new forms of engagement with the homeland. A. always votes, I think she does, I guess so, you know, have we talked about this? (…) Once we talked about this, about some leaflets, people knocking on doors (…). We talked about this but I don’t know whether she voted in the end or not. But she’s not the kind of person who would say that she doesn’t care, that she wouldn’t be voting (…). I don’t deal with purely political issues, because I’m not interested in them (…). I don’t know, it somehow should all be of interest to me, because I’m Polish (…) and my family is in Poland (Interview with A., Oxford, 2 March 2014). (…) ninety-nine per cent of the people I spend time with are Polish. (…) I have recently thought about it and said, ‘Gosh, I don’t have any other friends.’ There is one friend who is English, but it’s not like that she comes over for a cup of coffee or that we simply talk about some everyday issues. Practically, I don’t have such friends. A. shares the general feeling of the interviewed migrants that the experience has made her more open and confident as a person, but apart from maintaining a basic level of interest in the most topical issues, her interest in Polish politics has declined - or at least she feels she can now admit to having no particular interest in it – and she stopped voting in Polish elections, thereby breaking with her pre-migration socialization. Her predominantly Polish network and the lack of a separate professional network appear to enable this withdrawal from what was at least minimal political participation in Poland. A fourth case study that is as plausible as the ones sketched above but was not found in our interview data would center on the mobilization of transnational political engagement against the backdrop of no political engagement prior to emigration, for example voting in homeland elections from abroad after abstention from voting ‘at home’. Our survey on migrant voters includes a sizeable number of first-time voters. Moreover, our interview data includes several cases – across different educational and occupational profiles – of making use of local voting rights in the UK as EU citizens. Therefore, it is reasonable to expect that the experience of migration, whether through network composition or other factors, could mobilize first-time participation in homeland elections. Our mixed-method study highlights key factors shaping migrants’ transnational political engagement and offers a more nuanced view of transnational engagement and the factors that maintain and (de-)mobilize such engagement. The survey demonstrates the significance of the two factors hypothesized to increase transnational political engagement: integration (measured by the time spent in migration and residency status) and the role of emigrant networks. A shorter stay and a temporary residency status are associated with higher electoral engagement with the homeland, whereas a longer stay and the resources it affords are linked to more non-electoral engagement. Contrary to the hypothesis derived from other studies that deeper integration into emigrant networks fosters transnational engagement, our survey only finds an effect on non-electoral engagement, but not on electoral engagement. Our analysis has not detected a significant effect of sub-national destination characteristics. While the overall impression from the in-depth interviews is one of diversity – in line with previous qualitative studies focusing on individual migration experiences – several patterns have emerged that help to build a typology as a starting-point for future quantitative and qualitative research. The interviews highlight the need for a more flexible understanding of transnational engagement. Interest in homeland affairs, motivated by the wish to root children in their Polish heritage and/or introduce British/international friends from UK-based networks to Polish culture, places and daily life are relevant dimensions that deserve further exploration. Moreover, the qualitative data has highlighted that several dimensions of transnational engagement can exist in parallel and evolve in different directions: while some aspects of pre-migration socialization are maintained, the importance of other aspects decreases or increases The interviews suggest that core political views remain stable, or are reinforced (i.e. they become ‘more conservative’, ‘more patriotic’, ‘less critical’ rather than changing fundamentally). However, the composition of the migrants’ networks, a variable that taps into perceptions of integration, network participation, and the number of different networks maintained at once, suggests a causal mechanism that should be probed in future research: international or mixed networks seem to mobilize new forms of transnational engagement while maintaining electoral engagement. By contrast, predominantly Polish networks appear to preserve a baseline level of interest in homeland affairs while de-mobilizing political practices from before migration (e.g. voting). Conceptually, this article proposes not only a more dynamic notion of transnational political engagement, but also adds an as yet underappreciated aspect to the definition of social remittances, namely awareness resulting from the access of the migrants’ families and friends to information about life in the migrants’ host society, and from the migrants’ own conscious effort to inform their UK-based friends of Polish culture, politics, and daily life. These conceptual findings call for further comparative work across different migrant experiences and locations. The data used in this article can be obtained by contacting the authors. The majority of empirical analyses use the highly politicized terms ‘assimilation’ or ‘integration’, measured by a combination of proxies, including length of stay and residency criteria. Some scholars prefer the concept of ‘incorporation’ in an attempt to sidestep the politicization and put the emphasis on the different modes of incorporation (see Glick Schiller et al., 2006), but the term ultimately faces similar operationalization dilemma. We use the term ‘integration’ in line with how the interviewed migrants themselves describe their relationship to different aspects of life in the UK. Migration processes have also shown weaken state control and thereby affect a policy or legal change, for example with regard to the UK’s decision not to restrict labor mobility after 2004 or Poland’s double taxation legislation (Garapich, 2016). Recent survey-based research on Polish and Ukrainian migrants has shown that important predictors of domestic vote choice hold among migrant voters, thereby guarding against the assumption that migrant political preferences necessarily change in migration (Ahmadov & Sasse, 2015). While the extraterritorial vote can only ever make a difference in very closely contested elections, its extensive coverage in the Polish media has increased its salience and Polish parties across the political spectrum actively compete for the support of migrant voters (Lesińska, 2013). OECD census data from 2000 is also incomplete and does not provide a good comparative reference point due to the difference in timing, that spans the critical event of Poland’s accession to the EU in 2004 (Dumont, 2008). Oxford City Council. 2016. Country of Birth: Census 2011. Accessed 18 April 2016 at: https://www.oxford.gov.uk/downloads/file/1076/country_of_birth. The biggest employers are the BMW Mini Cooper plant, Unipart, the NHS, and university colleges (information provided by Oxford City Council). The distinction between Polish and international networks identified by the interviewees is not identical with the variable ‘network source’ used in the statistical analysis. ‘Network source’ measures the difference between homeland and host society sources of support. While this count variable includes family members and friends who migrated earlier and migrants of other nationalities in the UK, the general description of the interviewees’ main personal networks goes beyond the issue of concrete help. Similarly, the variable ‘diaspora links’ includes regular contact with recent Polish migrants, but this count variable also includes a range of other links with the older Polish diaspora. The research for this paper was supported by a British Academy Small Research Grant [SG/01251], a Small Grant from the John Fell OUP Research Fund [103/851] and a Large Grant from the Leverhulme Trust (M3RVQL00). We are grateful for Krzysztof Arciszewksi’s research assistance. We have benefited from the constructive comments on earlier versions of this paper by Thomas Lacroix, Peggy Levitt, Ilka Vari-Lavoisier, the participants of the workshop ‘Following the Flows: Transnational Approaches to Intangible Transfers’ at Princeton (19-20 September 2014) and three anonymous reviewers. AKA and GS contributed equally to the research and the drafting of this article. All authors read and approved the final manuscript. Kapur, D. (2004). Remittances: The new development mantra. G-24 Discussion Paper Series No. 29, Research papers for the Intergovernmental Group of Twenty-Four on International Monetary Affairs. New York and Geneva: United Nations Publications, April. http://unctad.org/en/Docs/gdsmdpbg2420045_en.pdf. Accessed 18 Apr 2016.